Some names and images have been changed for privacy. 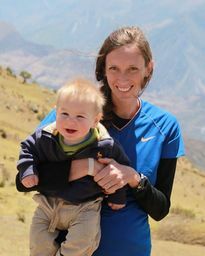 Leah Cleary with Luke - Coached on colic, sleep, breastfeeding, and embracing instinct. "Angela, there is so much I could write! I really believe I will always remember those early months as a positive experience because of your advice. I can't imagine what I would have as memories with him had I not talked with you about it early on. I look back on those early months as very sweet, precious times and a time that I was able to grow as an individual and become a stronger person because of the experience . . . The birth of our second child immediately had me questioning all I thought I knew about babies and how to best care for them. That first night (and several following it) he cried to the point that I was totally lost and felt completely helpless on how to sooth him. As a mom that’s a very hard feeling to endure. My first child fortunately “fit the mold” of an easy baby. I just thought I did everything right, but now I know her temperament had a lot to do with it. My son, Luke, was officially diagnosed with colic via our pediatrician based on the amount/level of crying on a daily basis at 3 weeks old. The best thing I could of done was contact Angela. The valuable knowledge that was gained with specific recommendations/instruction on where to go from there was amazing. Most of all within a couple of minutes of speaking with her I felt comfort, support, and was provided with a dose of confidence that I should follow my motherly instincts- which had been suppressed by all I had read and known (or thought I did) from my first child. I knew I had someone to take on this amazing challenge with me. She knew from her own personal experience how I felt and exactly what I was going through. Her passion for her work is impressive and her ability to access each baby and their individual needs is unmatched. Angela helped me with my breastfeeding challenges, understanding the importance of sleep as well as techniques that worked miracles on soothing my little guy during the witching hour (colic periods). For example- the advice of the noise of a hair dryer as well as bouncing on an exercise ball while holding him- were lifesavers and priceless! I can’t recommend Angela enough as I truly feel like her advice and support gave me the tools I so desperately needed to truly enjoy those precious moments with my baby boy we will never get back. Please visit my Facebook page for more testimonials. Finley Wright with Mateo- Coached on sleep, naps, and misc. "I soak up all the baby advice I get from Angela because I can be sure that her expertise comes through up to date research from her journalistic work, along with solid experience. She's been a life saver on a range of topics including teething, sleep for mom and baby, and even modern "have to have it" baby supplies. She's seems to have a sixth sense about the most valuable secrets to enjoying a healthy motherhood. What I really appreciate is her explanations of how both simple and big choices in raising a baby affects their developing brain. For us, sleep was a pretty big one. One of the many times I reached out to her was after a day of no naps and a restless night with my 4 month old. Could he be teething? And what do I do about it? He sure was drooling a lot. Angela gave me great natural teething advice but she also told me that it was more likely an overtired condition messing up his sleep! She likened it to when adrenaline is released when overtired and said this can have an effect similar to caffeine. That immediately clicked and I was able to be more intentional with his naps. My fussy baby was transformed into a happy one just by getting the naps on track, and the teeth didn’t begin appearing for another two months! Angela was right. It wasn't teething after all! Angela's read all the books and studies every mom wishes they had time to do but can't. Every minute with her is packed with value." 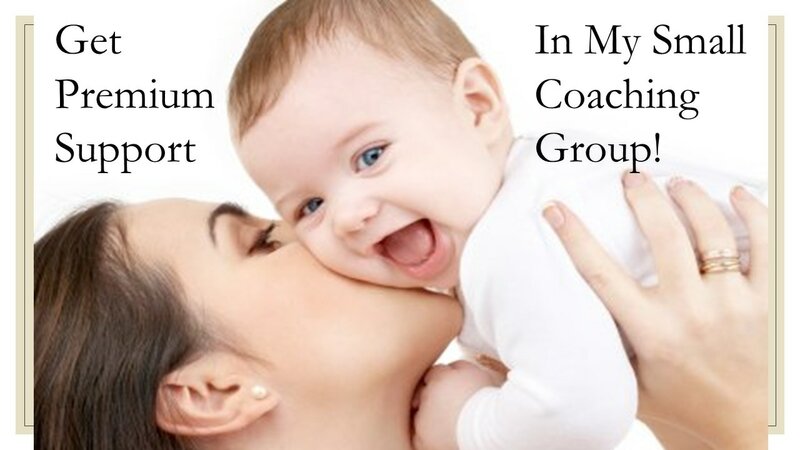 Anya and Mila Josephson - Coached on colic, attachment & transition to work, and sleep. "I first reached out to Angela when my little girl was a few weeks old. She had her nights reversed, cried non stop, did not let us put her down for a minute, and the only way she slept was in our arms and occasionally in the car seat. I was a first time mom who felt helpless and lost. Angela gave me guidance on how to soothe my little one, how to make her feel comfortable and safe, and how to improve her sleeping without putting her through the distress of crying it out. She helped me to understand the difference between different parenting techniques and solutions and encouraged me to trust myself better and find my own loving way of taking care and bonding with my daughter. Angela has a unique approach supported by scientific data to help you achieve healthy attachment and optimum brain development as you deal with these problems. She has also helped me through the transitions of establishing better sleeping patters, moving the baby into the nursery, and going back to work while continuing breastfeeding." 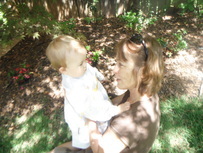 Renee and Jacklyn Costa - Coached on sleep, motivation, and attachment-based independence. say that three weeks after implementing Angela's sleep plan, our daughter has slept through the night several times and on the nights that she does wake, it is only once and she is quickly back to sleep. My husband and I are so impressed, pleased, and THANKFUL for Angela's insight and expertise! And our bond with our little girl is stronger than ever."